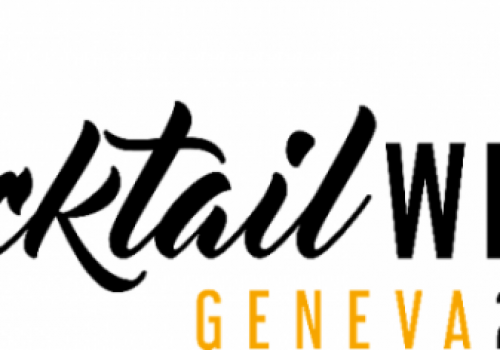 When you reach Henri-Blanvalet street in the Eaux-Vives district, the sound of laughter and conversations will lead you straight to the two addresses of Bottle Brothers in Geneva, Petit Bottle and its younger brother, the Grand Bottle. All year round the trendy, cosmopolitan guests mingle on the terraces of the two establishments in a happy brouhaha. 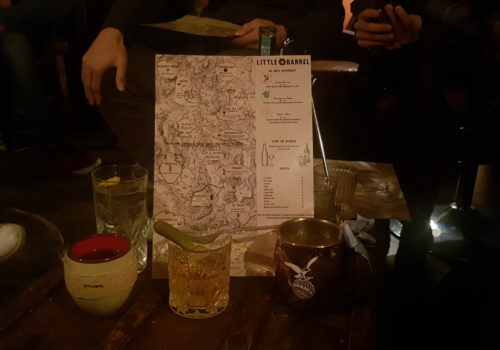 While adjacent and united by the same philosophy, each bar has its own “personality”. 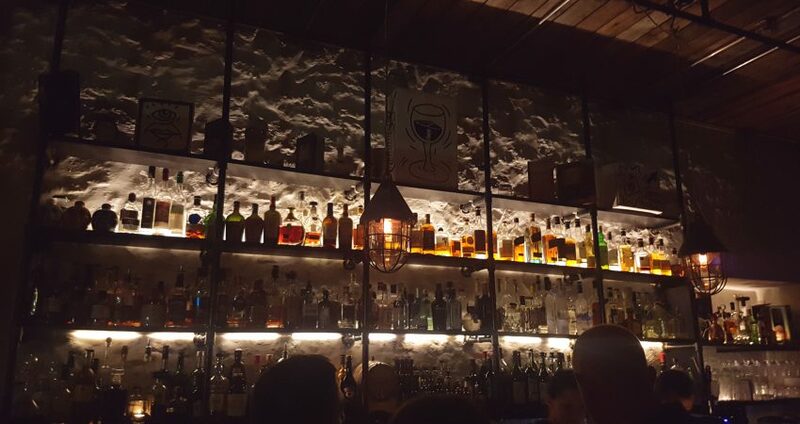 Opened in 2012, the original Bottle Brothers was meant to be a wine bar. It became a cocktail bar instead. Rather small and narrow, it can sit maybe a dozen of people. The rest of the guests will either stand or enjoy the terrace. The idea was to give the bar a “pop up” feel. The décor is industrial with pipe-style metal shelves and lanterns. 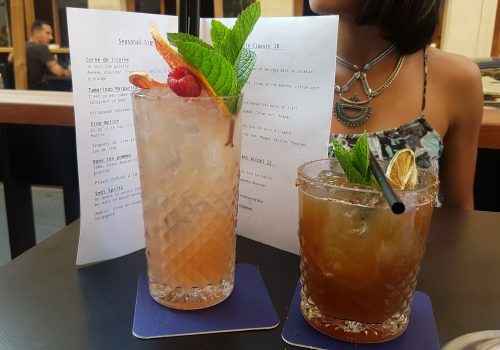 The cocktail menu showcases a selection of “Bottle classics” and seasonal signature drinks reflecting of the now dubbed Petit Bottle. 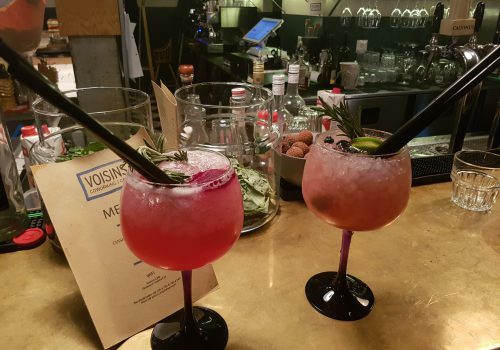 We’ll get back to the cocktails but know one thing: they’re good, real’ good. 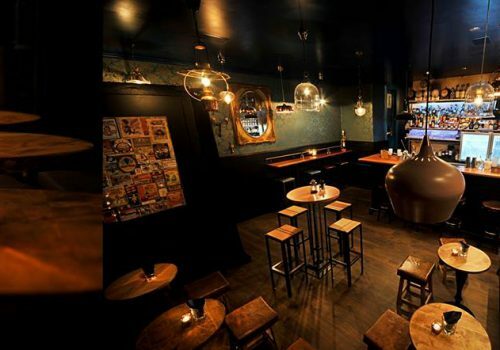 To set its complementary culinary offer apart from that of other bars, Petit Bottle opted for a more gourmet approach. Because of the bar’s configuration, the product had to be easy to eat standing. 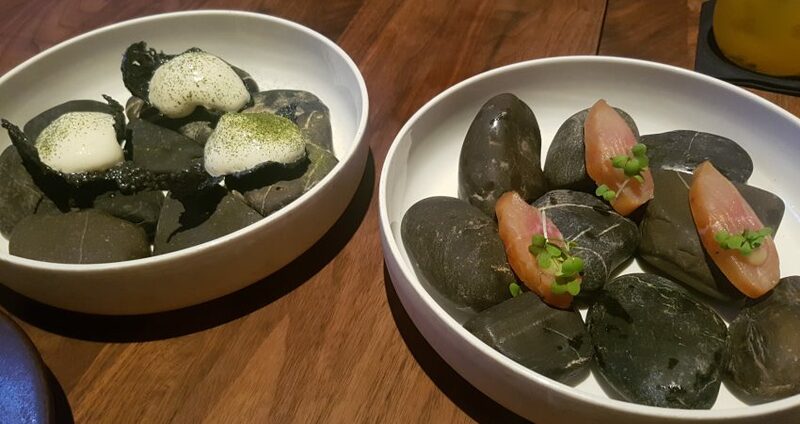 With the bar’s “pop up” vibe in mind, the Brothers opted for a mono-product made with terroir ingredients. After three years serving mini-burgers, mini-tacos are now on the menu. There are chicken, meat, fish and vegetarian options to satisfy every palate. I particularly liked the Don Daniel (braised beef, salsa verde, cilantro, avocado) and the Michoacan (pulled pork shoulder, spicy sauce, pico de gallo). Both are fresh and extremely savoury. 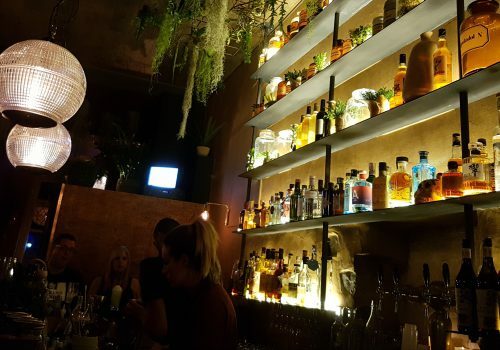 Opened a little over a year after Petit Bottle, Grand Bottle is both a bar and a restaurant. Bigger than its older brother, it also gives off a stylish industrial vibe with its brass shelves, marble bar and stone walls. Again, we’ll get to the cocktails but, first, let’s talk about the food menu! Grand Bottle is known for serving gastronomic dishes at an affordable price. The produces come from the terroir and are selected from local producers. 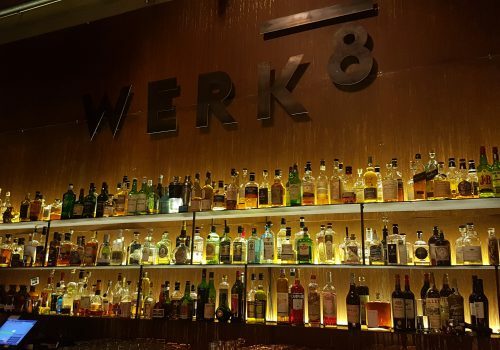 Thanks to the Bottle spirits and music (sometimes courtesy of live DJs), the atmosphere is laidback, enhancing the culinary experience. 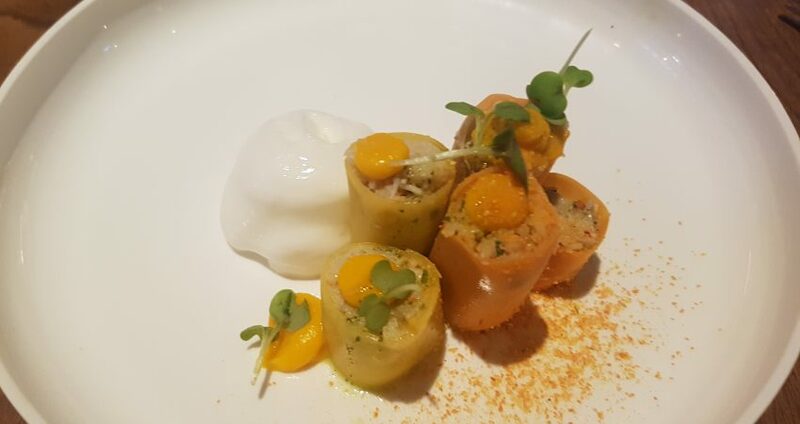 When I last had dinner there, my friends and I opted for the “carte blanche” menu, i.e. the surprise menu. 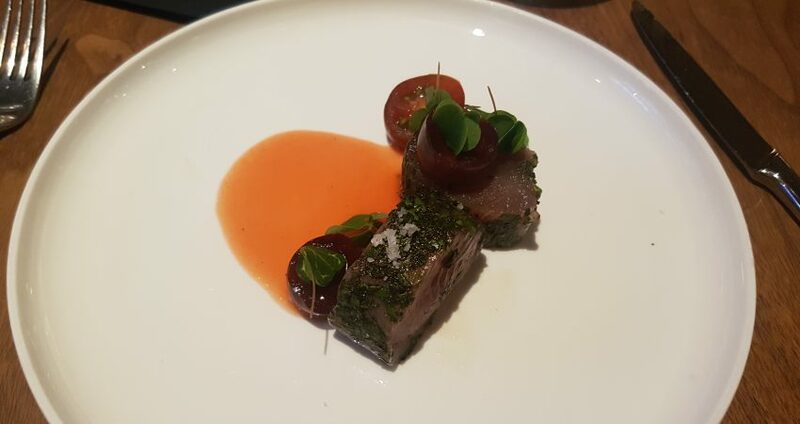 The portions looked small but each produce was prepared in different manners, thus revealing all its richness. 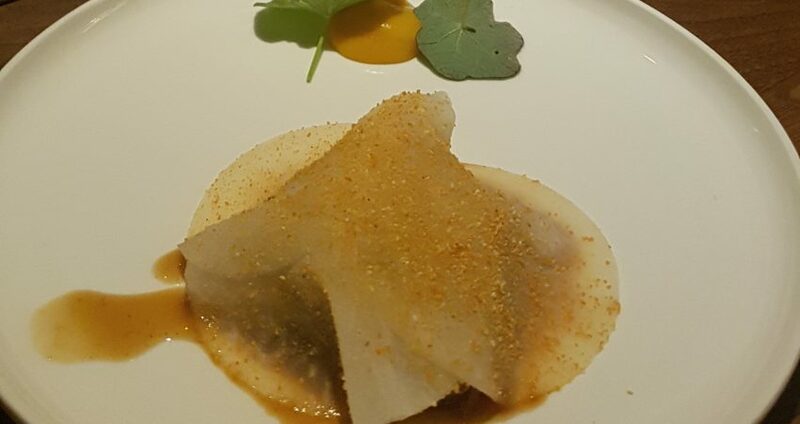 For example, there was a crab dish with carrot strips and carrot purée. At the end of the meal my friends and I realized the dishes were actually perfectly sized. We ate our fill, not more not less. The biggest surprise for me? Discovering I could appreciate raw fish! The skipjack was absolutely delicious! To the cocktails now! 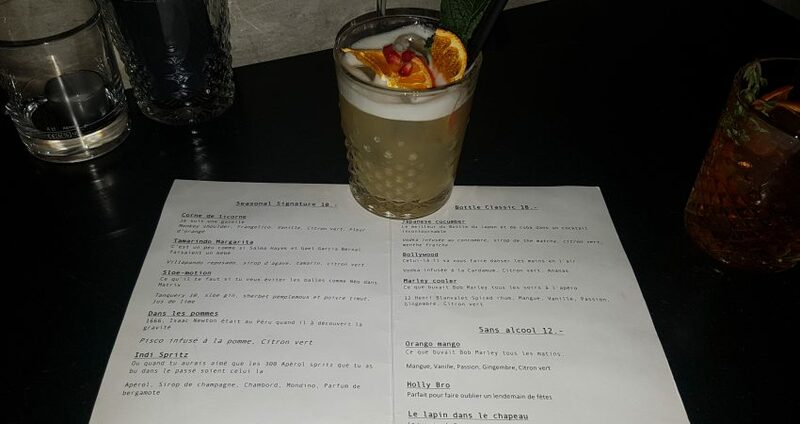 As previously said, the cocktail menus at Petit Bottle and Grand Bottle offer “Bottle classics” and seasonal signature cocktails specific to each location. At both bars, great attention is paid to the products used. 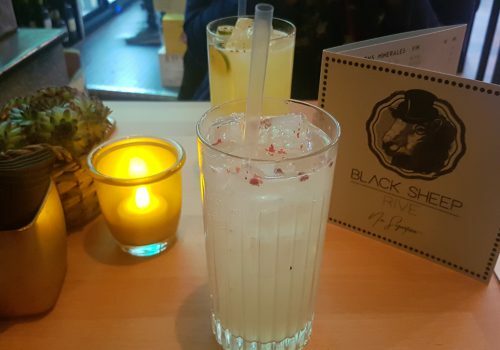 Premium spirits are mixed with homemade ingredients, such as syrups, shrubs and sherbets. 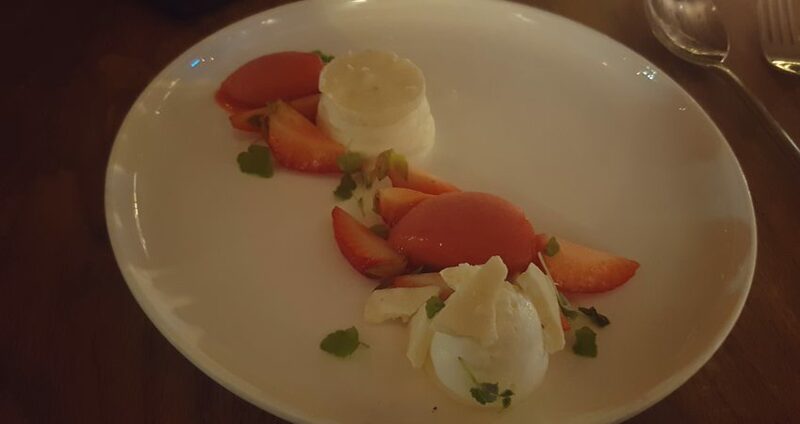 The flavours are perfectly balanced and the presentations are elegant. 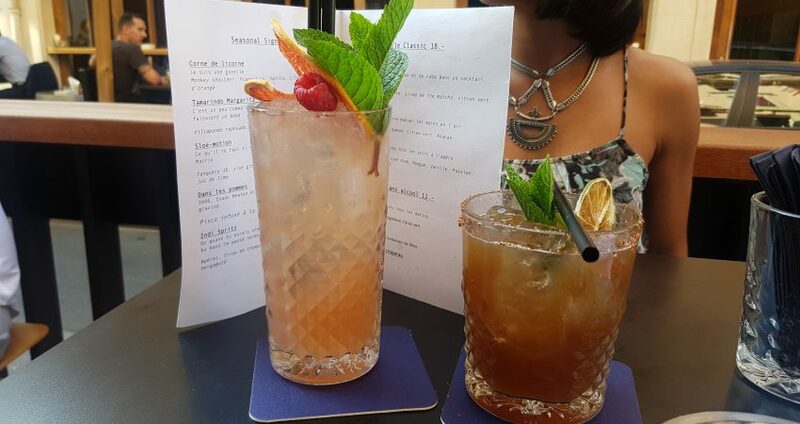 Not only are the cocktails tasty, they’re beautiful to look at. 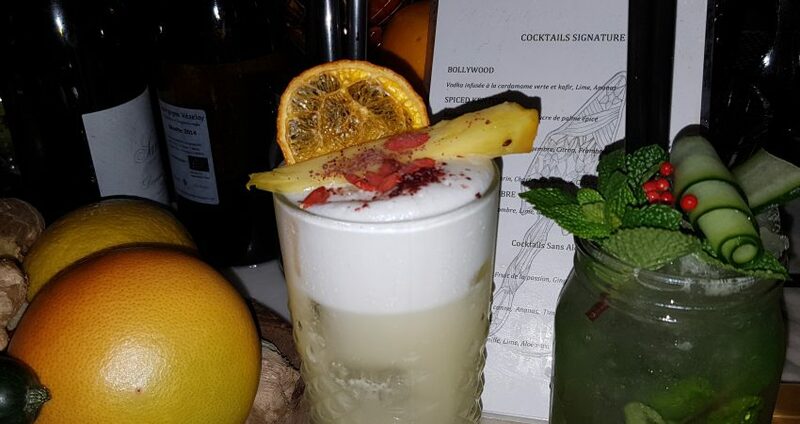 A light and refreshing cocktail to start the night smoothly at either location is the Bollywood (cardamom infused vodka, lime and pineapple), a Bottle classic. An original seasonal serve of the Petit Bottle, the Corne de Gazelle, tastes just like the pastry it’s named after. 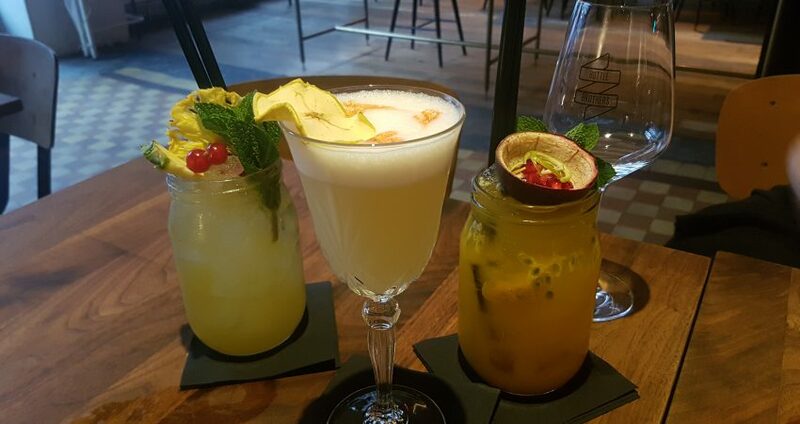 It is a clever mix of Monkey Shoulder whiskey, Frangelico, vanilla, lime and orange blossom water. A light option at the Grand Bottle is the Dans les pommes, an apple-flavored twist on the Pisco Sour. For those who like stronger drinks, the Negroni a 4 Mani (Plantation Pineapple, pineapple and cinnamon infused Campari, Red Vermouth, Crème de Noyaux) should work wonders. Finally, large groups also have the possibility to order punches. Thirsty and hungry? You know where to go! By the way, Bottle Lausanne is now open. 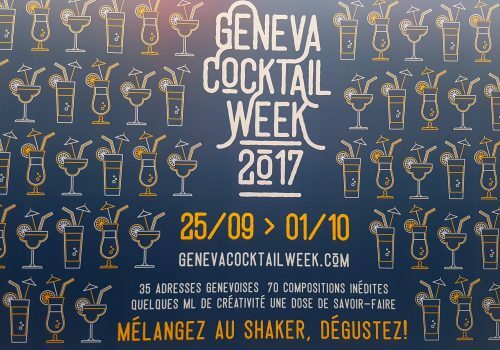 Geneva Cocktail Week 2017 – Back for a second edition!